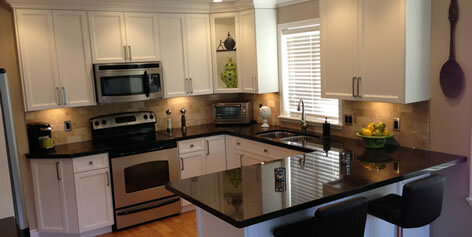 We can’t thank Kitchen Magician enough for solving our problem on a tight budget. We were listing our house and the kitchen was a real turn-off – the cabinets were ugly, we had very little storage, and even less counter space. The ceiling had one of those old sunshine ceiling boxes. Thanks for the modern pot lights!